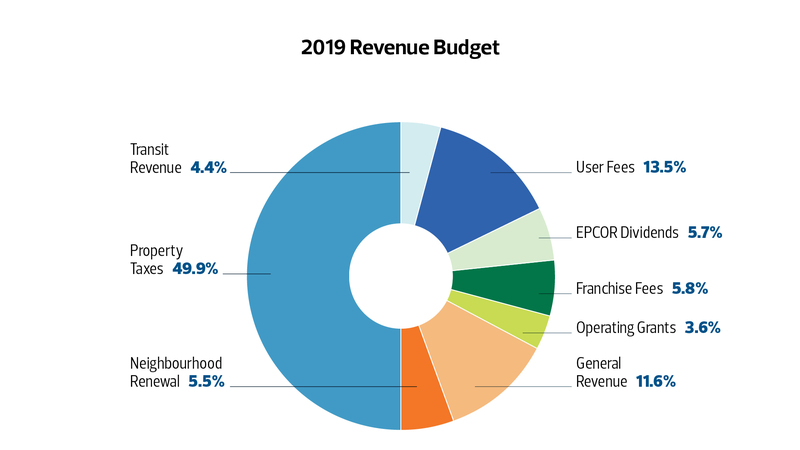 On December 14, 2018 City Council approved the 2019-2022 multi-year operating budget. 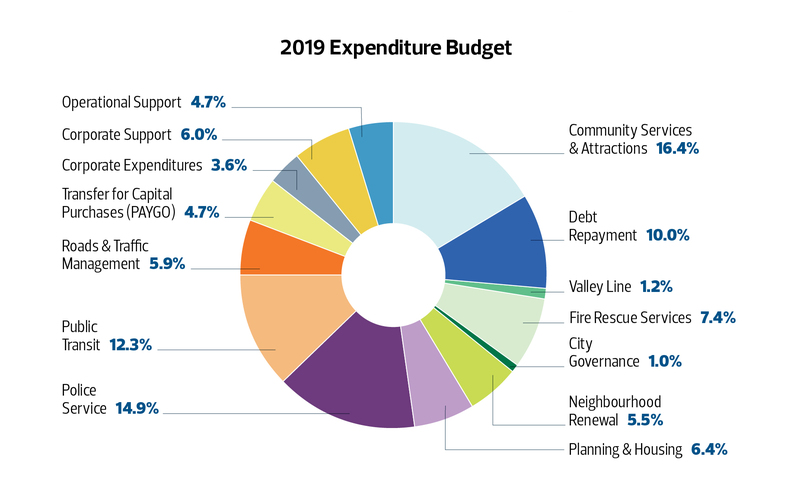 The approved tax rate increase for 2019 is 2.6%, which is driven by: an increase in Municipal Services (0.5%), Police Services (1.2%), the Alley Renewal (0.3%), and the Valley Line LRT (0.6%). The 2019 approved operating budget will provide all City programs and services for just $6.92 per day (2018 - $6.75) in municipal property taxes for a single-family dwelling valued at $397,000. For this example, the approved budget translates to an increase of $65 in 2019.